Disclaimer, Derma-E makes claims that I, as someone who is not a medical professional or an expert in pharmacology can validate. I do not have psoriasis or eczema and I can only give anecdotal testimony based on personal experience. 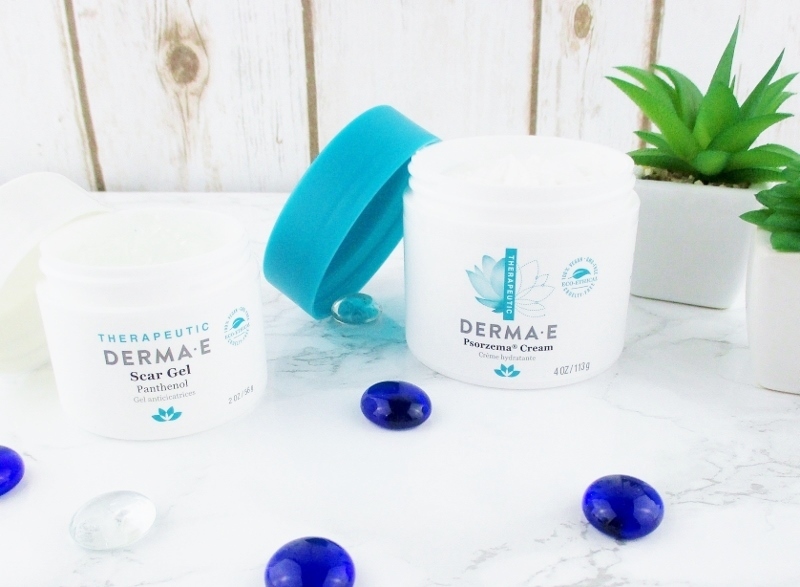 Derma E Scar Gel $15.99 is a greaseless gel formulated with a blend of botanical extracts that softens and smooths the skin and can help to diminish the appearance of scars, stretch marks and calluses. Allantoin and Panthenol help heal, rebuild and add suppleness to the skin while other natural plant extracts are purported to be antibacterial, antifungal and antiviral. Suggested use is: For fresh scars, apply 2-3 times a day for six to eight weeks and for older scars, twice a day for three to six months. I haven't been using this scar gel long or consistently enough to say for sure whether or not it fades scars. I can say, at this point that the gel feels cool on my skin, sinks in easily and doesn't have much scent. 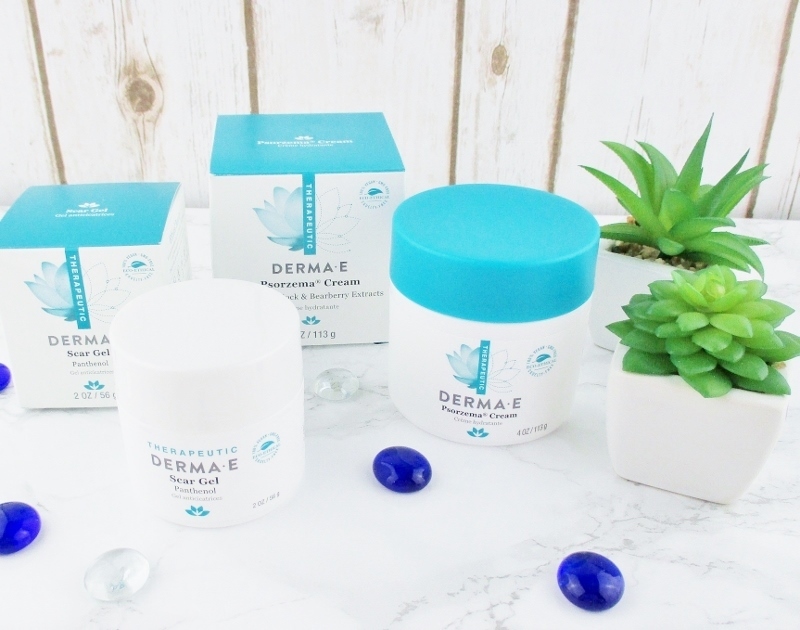 Derma E Psorzema Cream, $15.99 is a lightweight cream that is packed with soothing ingredients like Vitamin A, Vitamin E, bearberry, neem and burdock that can help to relieve scaling, flaking and itching from psoriasis and eczema and dry skin. I like to apply this cream, all over after my shower as a body cream. A little advice, this cream can ball up and roll off if I rub my skin too much right after application but if I just go ahead and get dressed and leave it be, after a little while it melts with the warmth of my skin, sinks in and leaves me feeling so soft all over. My skin gets super itchy on my low back and hips and this cream soothes and calms the itch, leaving me feeling much more comfortable. This cream contains neem so if you are pregnant or trying to conceive, avoid use until you can talk to your obstetrician and let them read the ingredients list to further advise you. Derma-E skin care is cruelty free, vegan, gluten free and produced in an eco friendly manner. I love Derma E - I haven't seen much happen with the scar gel, but Roxette Arisa told me she swears by it for acne scars. 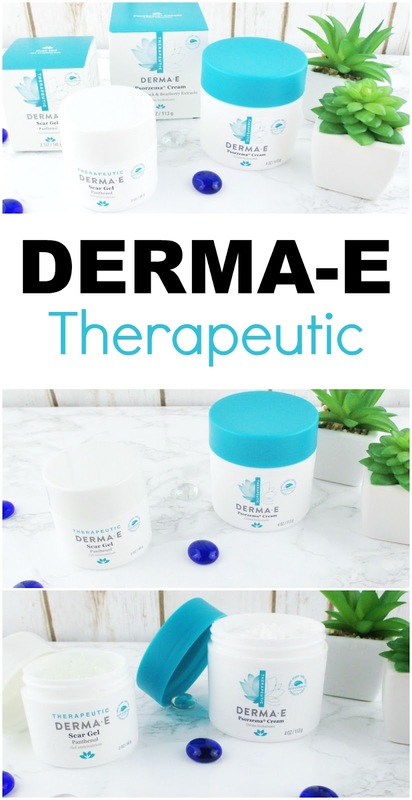 Derma E makes some really great products. I like the direction that derma e is moving in. Their products seem so much more refined than before. I like that you stated a disclaimer. I like derma-e but very wary when companies present a claim that has no clinical studies to support. Psoriasis and eczema are both dermatological conditions that need to be dealt medically. The scar gel is definitely one I'm interested in! That scar gel is amazing, I actually used it on a forming scar and it helped a TON. These sound like products that would be perfect for someone that has scarring acne. Reasonably priced too, I see. 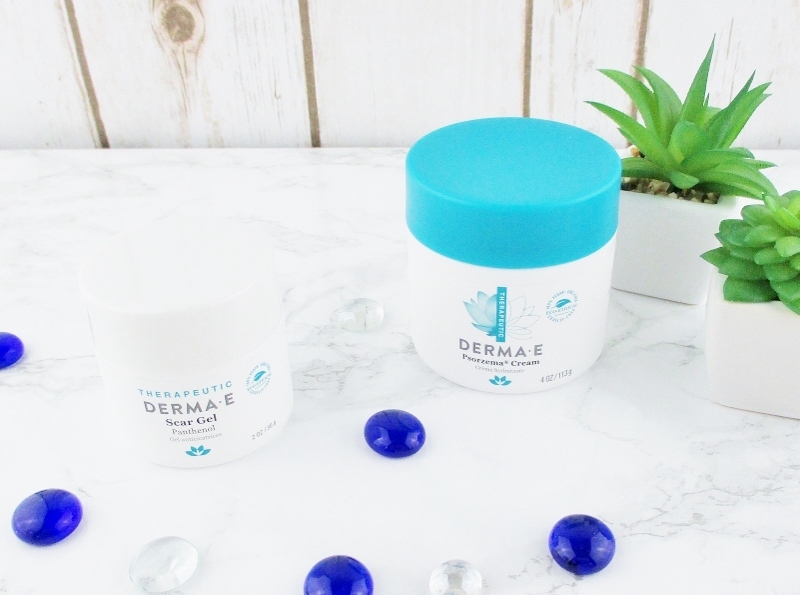 I love everything DermaE does, and these look pretty solid, especially that scar gel. These are such great products, and I have yet to encounter a Derma E product that I didn't thoroughly enjoy! These sounds like really well formulated products. I've yet to use anything from the brand I didn't love.